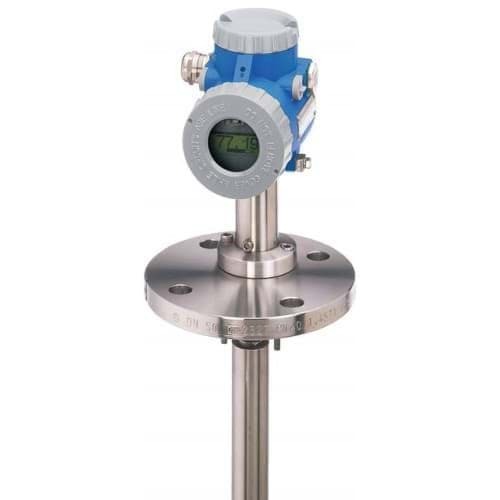 The Foxboro Levelstar 244LVP series consists of level meters with a displacement (buoyancy) measurement principle. This principle is based on the law of Archimedes that states that the upward force is equal to the weight of the displaced liquid. This makes the LevelStar also suitable for measuring level differences between two different liquids (interface). The LevelStar series immediately measures the upward force without moving parts and is therefore extremely robust and durable. The 244LVP is available with different connections and materials. In addition to an analog output, the LevelStar also communicates digitally with Hart or Foundation Fieldbus. The 244LVP is suitable for temperatures of 150 ° C, for higher temperatures we recommend the 244LD series. There are intrinsically safe and explosion proof versions according to ATEX, FM, CSA, Nepsi and GOST-R, among others.